You may think there is other news today, but for me the above-the-fold headline is that the Bomber won the 80m hurdles (with, in his words "no spikes and no technique") at Merton School Sport Partnership Athletics Championships which means that he will be representing the borough and competing in that event at the Surrey Schools Track and Field Championships next month. 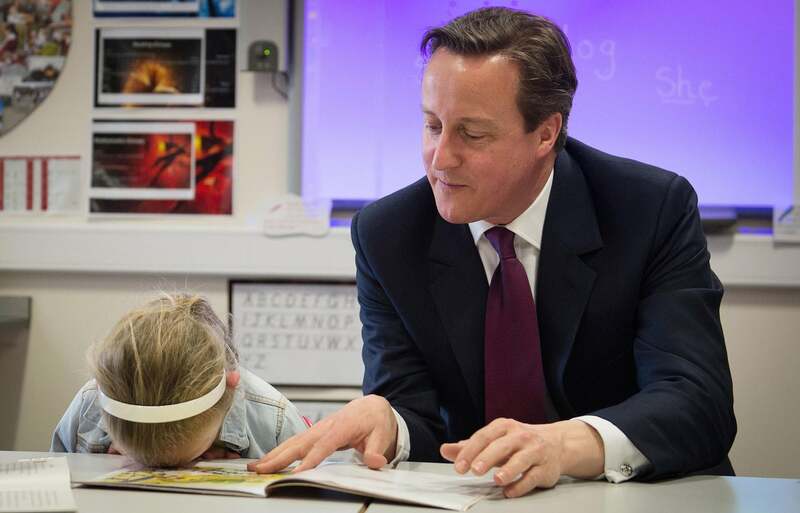 As for the election, I am with six-year-old Lucy Howarth, whose reading session with David Cameron produced a photo which gives me hope, at least for the future. What a girl! Between her and the Bomber there may be a golden generation on the way up. On VE day we remember the Greatest Generation. The sooner the world passes on from the losers between the greatest and the golden the better as far as I am concerned.